The rain gods have finally allowed the Lord’s Test match to get underway on the second day. 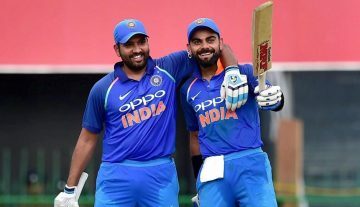 England won the toss and as expected, opted to have a crack at the Indian batsmen with conditions highly favoring the bowlers. Murali Vijay and KL Rahul, a new opening pair for the visitors, walked out to the middle. 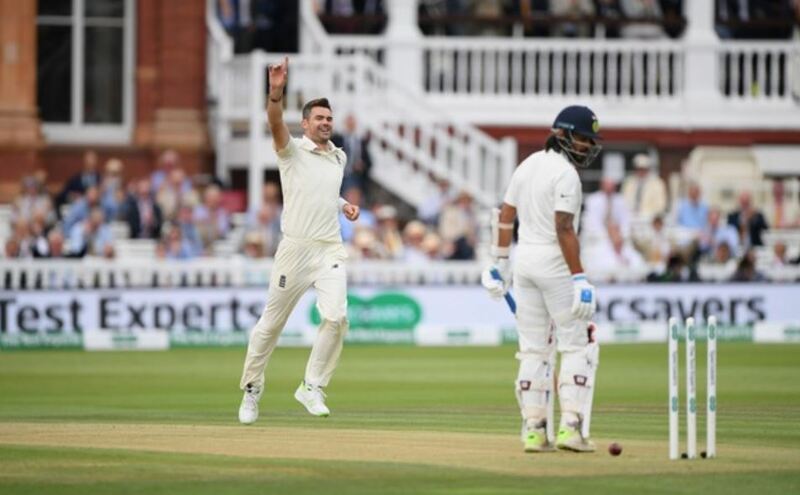 But the former got a corker of a delivery from James Anderson as his off-stump was disturbed on the fifth ball of the match. There is no doubt that that the ball is swinging and seaming a long way at the Home of Cricket on Friday. The pitch is carrying a lot of moisture in it and the overhead conditions are also helping the seamers. Anderson is known as the master of swing bowling and when the conditions are assisting, he becomes a lethal customer. The over started with a series of outswingers pitching outside off as Vijay looked in no discomfort leaving those. But the Indian opener was unaware what James Anderson was going to come up with off the fifth ball. After bowling at the fourth and fifth stump, he corrected his line as this fullish delivery pitched between middle and off stump with the seam perfectly pointing towards the first slip. Vijay played across the line in order to score through the on-side but it was a bad ploy against the away going delivery. Vijay was opened up completely in the middle and in a split second, the ball smacked off-stump. It all happened very quickly that the batsman was also shocked and Anderson’s magical delivery did the trick. The visitors needed a good start with 0-1 down in the series but they have been rocked early to their dismay. Cheteshwar Pujara and Rahul are currently fighting it out in the middle with Anderson and Broad all over them at the moment.